Rapa Nui National Park is a protected Chilean wildlife area located in Easter Island, which concentrates the legacy of the Rapa Nui culture. This culture displayed extraordinary characteristics that are expressed in singular architecture and sculpture within the Polynesian context. Easter Island, the most remote inhabited island on the planet, is 3,700 kilometers from the coast of continental Chile and has an area of 16,628 hectares while the World Heritage property occupies an area of approximately seven thousand hectares, including four nearby islets. The island was colonized toward the end of the first millennium of the Christian era by a small group of settlers from Eastern Polynesia, whose culture manifested itself between the eleventh and seventeenth centuries in great works such as the ahu –ceremonial platforms- and carved moai – colossal statues- representing ancestors. Rapa Nui National Park most prominent attributes are the archaeological sites. It is estimated that there are about 900 statues, more than 300 ceremonial platforms and thousands of structures related to agriculture, funeral rites, housing and production, and other types of activities. Prominent among the archaeological pieces are the moai that range in height from 2 m to 20 m and are for the most part carved from the yellow–brown lava tuff, using simple picks (toki) made from hard basalt and then lowered down the slopes into previously dug holes. There are many kinds of them and of different sizes: those in the process of being carved, those in the process of being moved to their final destinations –the ahu-, those being torn down and erected. The quarries (Rano Raraku and others) are invaluable evidence of the process of their carving. The ahu vary considerably in size and form; the most colossal is the Ahu Tongariki, with its 15 moai. There are certain constant features, notably a raised rectangular platform of large worked stones filled with rubble, a ramp often paved with rounded beach pebbles, and leveled area in front of the platform. Also extremely valuable are the rock art sites (pictographs and petroglyphs), which include a large variety of styles, techniques, and motifs. Other archaeological sites are the caves, which also contain rock art. There is also a village of ceremonial nature named Orongo which stands out because of its location and architecture. While it has not attracted as much attention, the housing and productive structures are of extreme interest. Easter Island (Rapa Nui) is the most isolated island on Earth. It is 2,000 km from the nearest spec of land. Famed for its stone heads, or moai, it is one of the wonders of the world. The photo above is of the only moai on Easter Island to be restored with the white coral eyes. The eyes were discovered after a toppled moai was moved and the eyes found underneath. 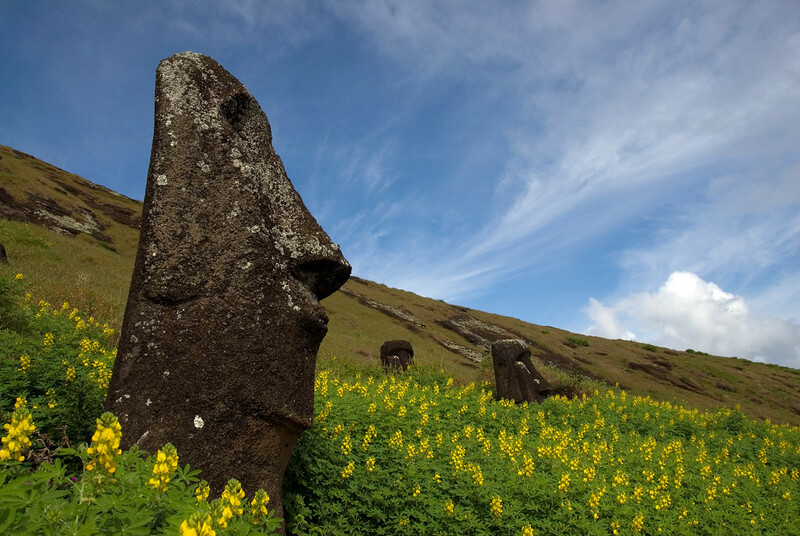 All upright moai on the island, save for those found still intact at the quarry, have been restored since 1950. Rapa Nui is located in the middle of the Pacific Ocean, which is one of the most remote UNESCO sites in the world due to limited accessibility. It is located 3,600 km west of Chile. 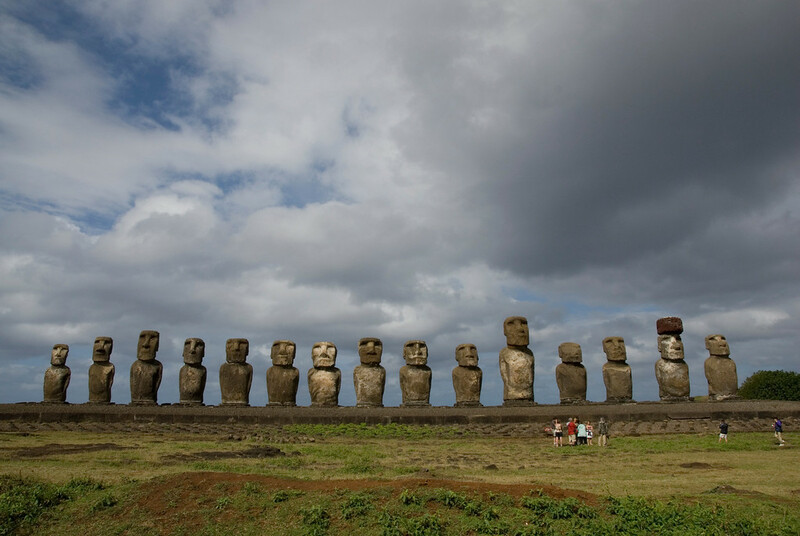 To go to Rapa Nui, you must fly to Santiago – the capital city of Chile. This is the closest flight connection available for anyone wishing to visit this national park. The flight from Santiago will take about 5 hours to reach Easter Island. In terms of climate, Rapa Nui features a subtropical climate. You can expect the site to be windy especially when you are near the volcano summits. Since it is located below the equator, the temperature in Rapa Nui isn’t as hot. Those who have visited the site describe the climate as moderate to pleasant. The average temperature is at 25-degree Celsius from December to February. The winter is from June to August with the temperature hitting its lowest at 17-degree Celsius. Since the expansion of the airport landing stretch in Easter Island, there is also a subsequent rise in tourism in Rapa Nui National Park. 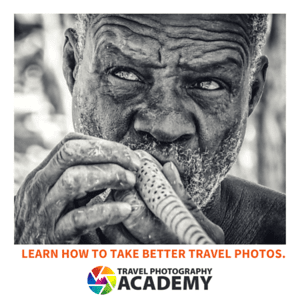 Since 2012, Rapa Nui receives an average visit of 70,000 each year! And yet, the tourism industry continues to see up to 20% growth each year. The tourism industry is, therefore, the biggest source of economy for the island. The locals who live on the island live a modest lifestyle. The power in Hanga Roa is generated using diesel engines. The access to power is cut once a week (for two hours or more at a time) for maintenance or failure issues. The internet access in the island is also very limited. 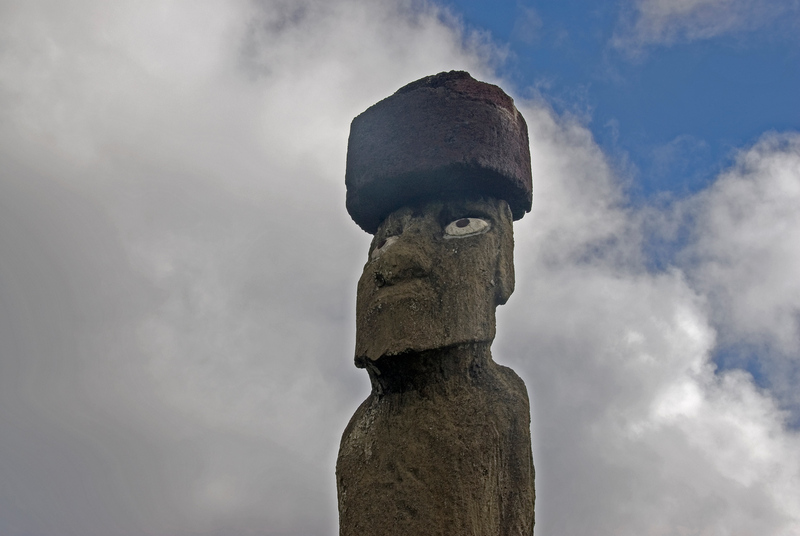 There are only two places which have flights to Easter Island: Tahiti and Santigo, Chile. Most people fly from Chile as it is easier to reach than Tahiti, but Tahiti is a very viable option. There are a few cruise ships which stop at Rapa Nui every year, but they are few and far between. Given its remote location, there are no stops for the ship for several days on either side of reaching the island. 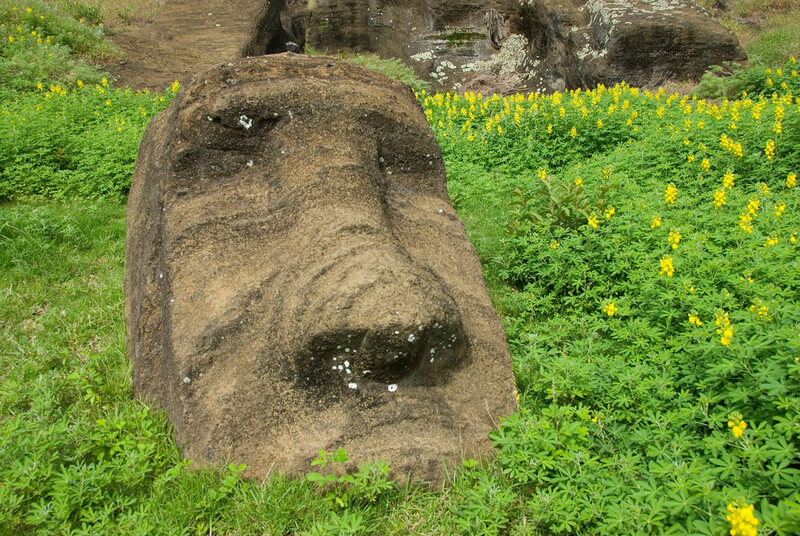 The moai statues are the most distinctive features of the Rapa Nui National Park. These are large megaliths that were built during 1400 – 1650 AD. The natives of the island were attributed to having created these massive megalith statues. Even though the statues appear to be only heads, these are actually full-bodied statues. The majority of the statues are around 10 meters in height but the rest of the bodies were covered in soil exposing only the heads. They were built around this location near volcano Rano Raraku due to the access to tuff, of which the statues were made out of. View the complete list of UNESCO World Heritage Sites in Chile. OMG, I can’t wait to be there in 2 months!!!!!!!!!! Interesting photo. I’d like to see Easter Island. The remoteness of it appeals to me. Easter Island has always been one of the coolest places to me. Nice pic! Interesting, and interesting life too, lol, just like that. BTW I am tagging you. Just random pick from my blog catalog friends list, and I thought I pick you…. Have some fun and no pressure. Did you get some close-ups of the eyes?